WASHINGTON – U.S. Reps. Glenn ‘GT’ Thompson (R-PA) and Jim Langevin (D-RI) have introduced a bill to modernize the charter of the National FFA Organization (formerly Future Farmers of America) to better reflect agriculture education in the 21st Century. H.R. 5595, the National FFA Organization’s Charter Amendments Act, makes updates to allow the National FFA to be a self-governing organization while maintaining its long-held relationship with the U.S. Department of Education. As the charter currently reads, the Department of Education holds the majority of the seats on the National FFA’s Board of Directors. “FFA is the cornerstone of our rural communities throughout the nation,” Thompson said. “In its 90-year history, the FFA has been a leader in preparing American youth for careers in the agriculture industry. This bipartisan bill will modernize the charter to ensure FFA can take control of its own organization and it can continue to inspire generations of young agriculture leaders. “FFA plays a critical role in agricultural education and workforce development in Rhode Island and across the country by allowing young people to explore exciting careers,” Langevin said. “I’m proud to work with my fellow Career and Technical Education Caucus co-chair, Congressman Thompson, on this bill to modernize FFA’s charter, providing it with the autonomy to be innovative and an increased focus on comprehensive CTE. “About 100 organizations have federal charters, but FFA is the only one where the government has a majority of seats on the board,” said U.S. Rep. David Young (R-IA), who is an original cosponsor of the bill. “The amendments set the stage for FFA in the 21st century and allows us to bring FFA and our operations into the future,” said Mark Poeschl, chief executive officer of National FFA. FFA was founded in 1928. Congress recognized the importance of FFA as an integrate part of vocational agriculture and in 1950 granted the organization a federal charter. The charter also provides federal authority to create an inter-agency working agreement between the Department of Education and the Department of Agriculture that’s focused on strengthening the FFA and school-based agriculture education. The role of education in securing a skilled, sustainable workforce in agriculture is underscored through the required involvement of the U.S. Department of Education on the National FFA Board of Directors. Only about 100 organizations have charters with federal agencies. Only six organizations require their respective government agency to select one member for the board of directors. FFA is the only organization that requires a majority of its board of directors be chosen by its partner government agency. The legislation introduced by Thompson and Langevin seeks to modernize the National FFA Organization’s relationship with the Department of Education to reflect agriculture education in the 21st Century. FFA will continue to work closely with the Department of Education as well as USDA to fulfill its mission to better match the innovative and hands-on approaches that many agriculture educators are implementing across the country. The U.S. Securities and Exchange Commission says Yahoo has agreed to a $35 million civil fine to settle accusations that it failed to promptly notify investors about a December 2014 data breach. The enforcement action puts public companies on notice that the SEC doesn’t look kindly upon efforts to conceal or downplay data breaches. Yahoo, which has renamed itself Altaba, has neither admitted nor denied the allegations – as is typical in such enforcement actions, the SEC says. But the SEC says that despite Yahoo learning within days of a December 2014 breach that it had been attacked by Russian hackers, the search giant waited nearly two years to disclose the breach to investors. The regulator’s probe into Yahoo’s breach notification speed reportedly launched in December 2016 (see SEC Reportedly Probing Yahoo’s Breach Notification Speed). Altaba couldn’t be immediately reached for comment. Troy Hunt, an Australian data breach expert who runs the Have I Been Pwned breach notification service, says that the $35 million fine will “surely cause organizations to think a bit more” about data security. Many organizations publicly say that security is a top priority, but that often is not necessarily reflected in their IT spending, Hunt says. “There seems to be a degree of lip service [to security],” he says. Yahoo disclosed the 2014 breach in September 2016 as it was negotiating its sale to Verizon. Due to the severity of the breach, Verizon closed its acquisition of Yahoo in June 2017 for $4.48 billion, around $350 million lower than the initial asking price. Under the terms of the acquisition, Yahoo must pay half of all costs related to government investigations and third-party litigation. Yahoo did not carry cybersecurity insurance. The December 2014 breach affected 500 million users. The SEC’s order says the stolen data included Yahoo’s “crown jewels,” including email addresses, user names, phone numbers, birthdates, hashed passwords as well as unencrypted security questions and answers. Yahoo has a complicated breach disclosure history. After Yahoo disclosed the 500 million breached accounts in September 2016, it revised that tally in December 2016 to 1 billion accounts. It also said at that time attackers had forged cookies, allowing them to directly access some accounts. In March 2017, four men, including two Russian FSB agents, were indicted on charges related to intrusions into Yahoo, Google and other webmail providers (see Russian Spies, Two Others, Indicted in Yahoo Hack). Former Yahoo CEO Marissa Mayer told a Congressional committee in November 2017 that it was tough for any corporation to defend against nation-state attackers. She testified that Russian intelligence officers and state-sponsored hackers were responsible for sophisticated attacks on the company’s systems (see Former Yahoo CEO: Stronger Defense Couldn’t Stop Breaches). “Even robust defenses … aren’t sufficient to protect against the state-sponsored attack, especially when they’re extremely sophisticated and persistent,” Mayer testified. Just a month prior to Mayer’s testimony, Yahoo disclosed that a 2013 breach compromised virtually its entire user base, encompassing some 3 billion accounts (see Yahoo: 3 Billion Accounts Breached in 2013). A class-action lawsuit against Yahoo is still winding its way through federal court in San Jose, California. Similar to the SEC’s allegations, the plaintiffs allege Yahoo waited too long to disclose breaches. Some of the plaintiffs allege the Yahoo breaches resulted in fraudulent charges on their cards and spam in their accounts (see Federal Judge: Yahoo Breach Victims Can Sue). One of the four men who was charged, Alexsey Belan, has been accused of using his access to Yahoo to search for credit and gift card numbers. He has also been accused of using Yahoo account information to facilitate spam campaigns. Executive Editor Mathew Schwartz also contributed to this report. The National Institute for Standards and Technology issued the finalized updates to its Cybersecurity Framework April 16, 2018. The new version 1.1 of the Cybersecurity Framework, which was developed through public feedback collected in 2016 and 2017, includes updates to authentication and identity, self-assessing cyber risk, managing cybersecurity within the supply chain and vulnerability disclosure. 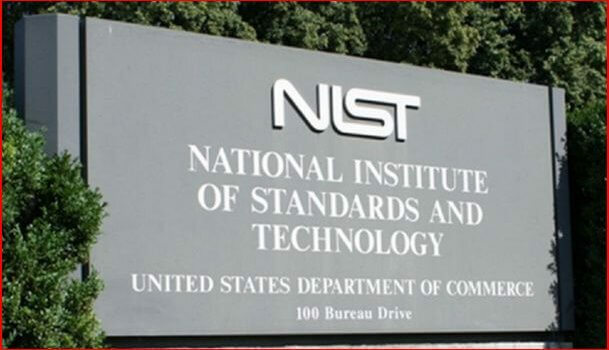 NIST also plans to release an updated Roadmap for Improving Critical Infrastructure Cybersecurity later this year as a companion to the framework. The NIST Cybersecurity Framework has featured heavily in recent government IT and cybersecurity initiatives, and received a callout in the White House IT Modernization report released in December 2017. Langevin added that, while the framework now has many positive additions, the update process did miss out on an opportunity to offer more concrete guidance on ways to quantify risk. Industry, too, offered support for the new changes. “There’s a lot to like in the new Framework, but one area where they made big strides is on supply chain risk management,” said David Damato, chief security officer at Tanium. NIST plans to host a webcast on the updated framework April 27, 2018, and the framework will also feature heavily at the agency’s Cybersecurity Risk Management Conference in November 2018. PROVIDENCE, R.I. — Rhode Island’s U.S. representatives and senators have weighed in on President Donald Trump’s decision to launch a missile strike on a Syrian air base Thursday in retaliation for a chemical weapons attack the administration was carried out by the Syrian government, cautioning the president to work with Congress in dealing with Syria. 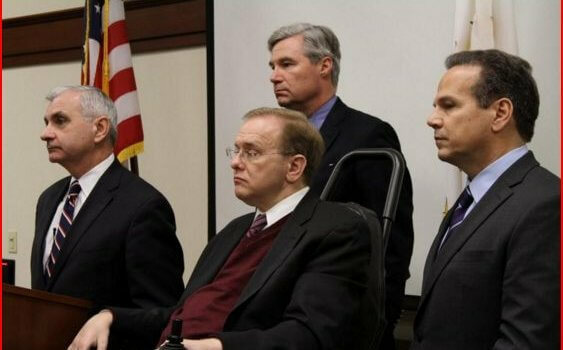 In separate statements issued Friday, Rep. Jim Langevin and Sen. Sheldon Whitehouse explicitly supported the decision, while Rep. David N. Cicilline and Sen. Jack Reed were more circumspect. They are all Democrats; Trump is a Republican. 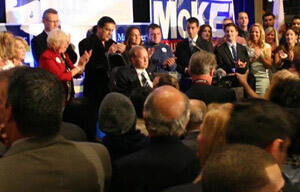 “I believe the response taken tonight by the United States in launching an air strike in Syria following the morally reprehensible war crimes committed by Bashar al-Assad when he deployed chemical weapons, killing innocent children and civilians, is justifiable, and I support this decision,” Langevin said in his statement.